Productivity is about getting more done in less time. When you increase your productivity, you increase your free time. You increase your profits if they’re tied to your productivity. And quite often, you increase your success and sense of satisfaction. So who doesn’t want to be more productive in their ventures? Note ~ Affiliate links present in this post may net the site a commission from your purchase through them. There is NO charge to you for using them. Being more productive isn’t always intuitive. It helps to learn the tactics the most successful entrepreneurs use. Before you go to bed each night, make sure to sit down at your planner or calendar and write down your to-do list and tasks for the next day. Identify the goals you want to achieve, the tasks you need to finish and schedule your time. This tactic is effective for several reasons. First, it supports you to get a good night’s sleep. It’s much easier to leave the day’s stress behind you when you have your day planned. It helps clear your mind so you can relax. Additionally, when you take time at night to plan your upcoming day, you’re able to start the day with a clear itinerary. You can hit the ground running so to speak and start making your day productive as soon as you wake up. You can use many planning systems. Find one that works for you. It doesn’t matter if you use a notebook and embrace bullet journaling/planning or if you love technology and use a mobile app to keep you on track. Find a system that supports you to schedule your time and create task lists. Google calendar, is a simple, and free, technology that you can use from your computer, on your phone, and anywhere there is an internet connection. I use a combination of digital and print. Cozi is my family calendar while Google docs houses a lot of my work. Some of my most productive times have been when using a print planner like The Blog Well Planner or The 7 Minute Life Daily Planner. Both are for one quarter of the year and provide you formats to really focus your efforts. When are you most energized, productive, and able to focus? For many the answer is “first thing in the morning,” but that isn’t always the case. Some people don’t really hit full stride until after lunch and night owls are more productive when it’s dark. Find your time and schedule your priority tasks during this time. Okay, so you are more productive in the morning. You get up and spend an hour on email. Is that the best task for that time? Set priorities for your day. What tasks will have the biggest impact on your day’s success? What tasks will help you achieve your goals? 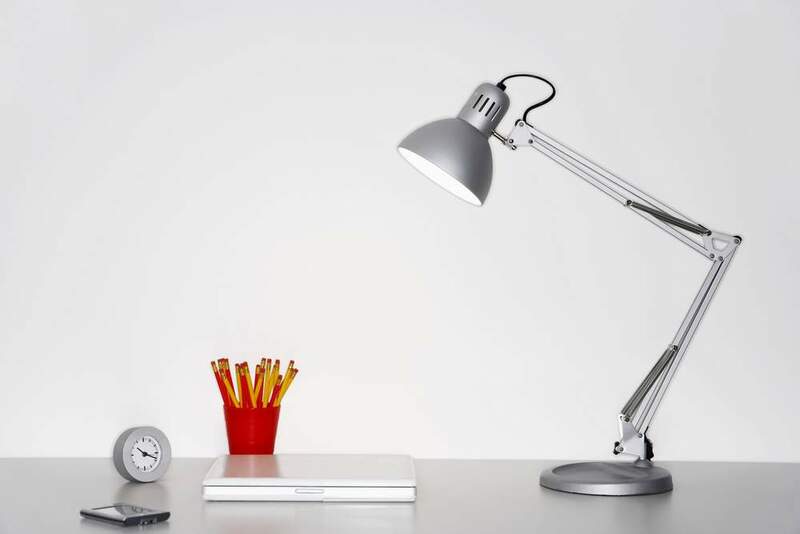 Focus on those tasks during your most productive time of day. If you like lists, make a checklist to stay focused. Goals help you stay motivated to be productive. It really helps to have a “reason why” behind your actions. Goals help you break down your daily tasks into steps and milestones. A milestone is a mini goal. For example, if you are writing a book, a milestone might be to finish the outline, finish the first draft, and edit the book and so on. Milestones help keep the motivation high and keep you accountable. One of the biggest productivity busters are those sneaky interruptions. You know, when the phone rings, your child knocks on the office door, or you accidentally visit Facebook in the middle of a project. Create protected time. Hang up your DND sign. Leverage technology to block distractions like phone calls and Facebook. Set a specific amount of time to accomplish important tasks. For example, if your first task of the day is to plan your content for the next month, give yourself an hour, or less, to get the job done. Set an egg timer or use the alarm on your phone. Setting a timer helps you stay focused. And if you set the timer for less time, it forces you to move through the task with speed. For example, if you would like to block an hour for content planning, give yourself 30-45 minutes instead. You’ll work quickly and effectively to get done in time. And if you schedule something for right after, you won’t be able to run over you’ll have to get it done in your allotted time. If you are one of those people who always has ideas coming at you, instead of getting distracted by your amazing and brilliant new idea, jot it down in your notebook. This also works well when you remember something that you want to do or must do. Just jot it down on the paper and get back to what you were doing. If you’re a digital person, you might use a note taking application like Evernote or simple Notepad that probably came installed on your phone. Just like you have a most productive time of day, you also have a time of day where you have less energy, are easily distracted, and don’t feel as productive. This is when you should schedule administrative tasks, which aren’t directly connected to profits or a goal. For many, the best time of day for administrative work is the afternoon. It’s also a great time to plan your next day. Then you can leave work at work and enjoy the rest of the day with your friends and family. This leads us to what might be considered tip 9.5 – live a balanced life. You can’t be productive 100% of the time. Focus on work when you’re at work and commit to focusing on fun, friends, and family when you’re not working. Finally, perfection is a productivity killer. Don’t try to make it perfect. It’ll take ten times longer than it should. Instead, focus on what is important and leverage the help of others to make it the best it can be. Continuing with the example of writing a book, write the book. Don’t worry about perfection, and then leverage feedback from beta readers and editors to make it the best it can be. Your job is to first focus on getting the book (or task) done. 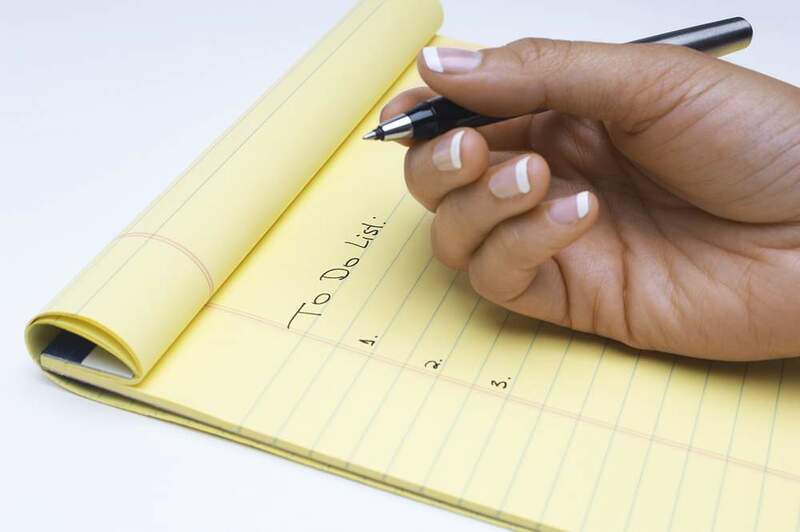 It’s also important to remember that while you can embrace these 10 ½ tips to be more productive, one of the best ways to ensure consistent productivity is to take good care of yourself. Exercise, get enough sleep and fuel your body with nutritious foods. Then, you’ll have the mental and physical energy to integrate these tips into your day. Being more productive is about setting goals and priorities. It’s about creating systems that support you to succeed and leveraging both technology and the skills of others to ease your burden. And it’s about recognizing your personal productivity style and needs. Here is wishing you success and limitless productivity! How do you approach productivity in your life? 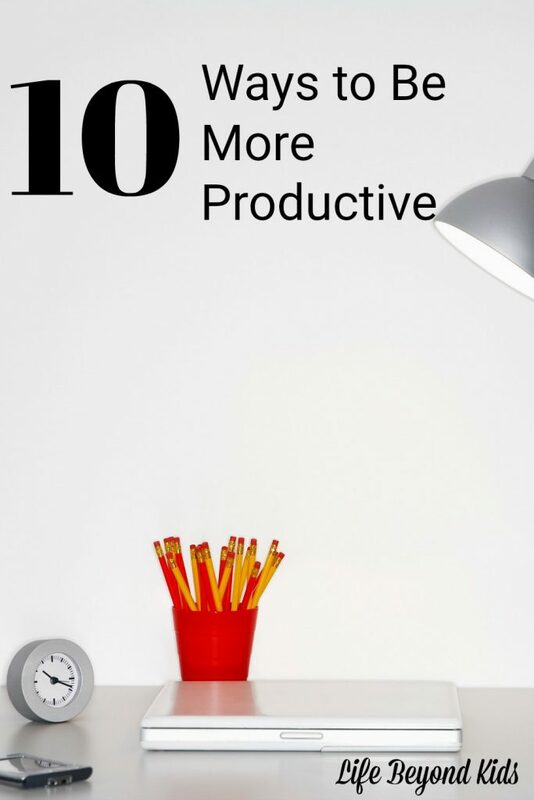 Which of these Top 10 Tips for productivity resonates the most with you?